APPLY AND START SAVING TODAY! There are 2 options to do something about getting discount: You won’t need to apply this Forever Living discounts every time you want to shop and you won’t need to search for a promotional coupon or code. However you should register today to lock in your Forever Living discounts. Forever Living discounts will kick in right away, who have registered today to this discount offer will be able to apply this discount towards future purchases. If you decide later not to use the products or this Forever Living discounts, that’s your choice, you have nothing to lose. There are 2 main membership levels (Preferred Customer and Wholesale Buyer). Each membership gives you access to buy products with discounts. As a Preferred Customer you will receive 15% discount right after registration. Signing in to your personal Forever Living account with your personal distributor ID number will give you the privilege to save money and NO MINIMUM PURCHASE IS NECESSARY and NO purchase required at registration. – experience the benefits of Aloe Vera drinks and other Forever Living Products. – you can make a 15% retail profit by selling the products for your customers or sponsor / register new people for free to get access to the discounted products. – you can start your internet /online business by marketing the products through your personalized official website. How do you actually receive Forever Living Discounts? Register above to become a basic member and get your forever living discounts card (distributor card) which means you purchase your products at a new distributor price. You save 15% instantly. Just fill out the application form and wait about 5- 10 minutes until you receive your personal ID number and temporary password(this waiting period could take upto 24-48 hours). There is no obligation, no need to sell or distribute the products, you just buy them for your personal and family use in order to save some money. Application is free, there is nothing to lose. Who doesn’t want to save money??? Don’t forget: the forever living products discount card is valid worldwide for the rest of your life. Don’t need to renew it or reregister. With forever living products discount card you can enjoy shopping and save money forever. 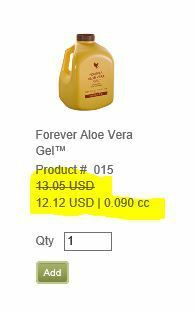 You can print out your discount (distributor card) when visiting www.foreverliving.com under ‘MY ACCOUNT’ tab. We've Got The Perfect Discount for You! It's 100% FREE to APPLY! How to shop with Forever Living Discounts Card? 5- 10 minutes after registration check your email and write down your ID number and password! To buy the products 15% cheaper with your Forever Living Discount Card, you need to login to your account as a distributor at www.foreverliving.com ,find on the right upper corner: distributor login click on it. Next step is to type in your personal ID number or registered email address with your temporary password. At first time login you need to add a security question with answer and save it. Your temporary password will expire so you must change it. For purchasing products you need to click ‘SHOP NOW’ and you will see the already discounted price! 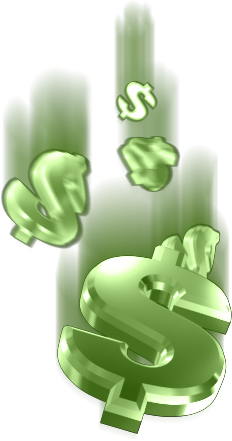 Pay actual shipping cost or no more than $8.50 USD for ground delivery on orders of $600USD or less. Over $600 USD shipping will be calculated according to the actual weight of the products. What if my Forever Living order is over $600 USD? be applied to your membership. When you see that the Forever Living Discounts applied and the price of the Aloe Vera gel’s price dropped to 12.12$ then it is time to place the rest of your order. If you would like to learn more about our products I recommend you to visit my Forever Living Products Pages for detailed information. Come On! It's Time to Save Some Money! Apply & Save 15% Instantly! No Minimum Purchase Necessary!